After the GST came into force, the revenues falling constantly became the cause of concern for the government. The fiscal deficit target could cross the target in 2017-18. Given this, the government will borrow Rs 50 thousand crore in the current financial year 2017-18. This additional loan will be borrowed from January to March, which will further increase the country’s fiscal deficit. 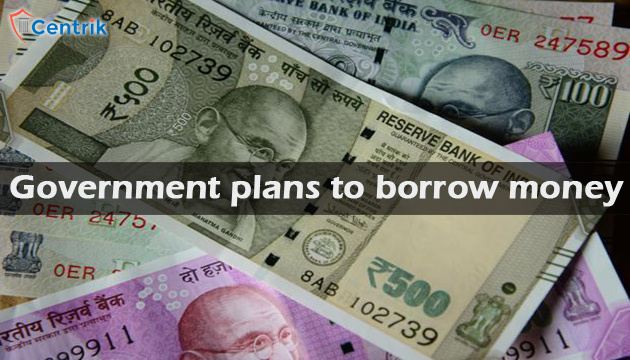 The government said in an official statement that between January and March, additional loans of Rs 50 thousand crore would be borrowed from Government Securities. The finance ministry said that no changes will be made in the next financial year’s borrowings and that would be according to budget 2017-18. After reviewing the lending program with the Reserve Bank, it has been decided that the government will borrow extra in the financial year 2017-18 which will be taken from Dated Government Securities. Apart from this, till March 2018, the Treasury Bills will be reduced from Rs 86,203 crore to Rs 25,006 crore. Treasury or T-Bills are securities, which have less than one year of maturity. On the other hand, the maturity of Dated Securities is more than 5 years. In November, the GST collection fell for the second consecutive month to Rs 80,808 crore. In October, the GST collection was 83 thousand rupees and 56 lakh returns were filed. The constant decline in revenue is causing huge damage to the government’s treasury and its burden is also on the fiscal deficit.